Carolina general manager Ron Francis is keeping an open mind for his team this season. 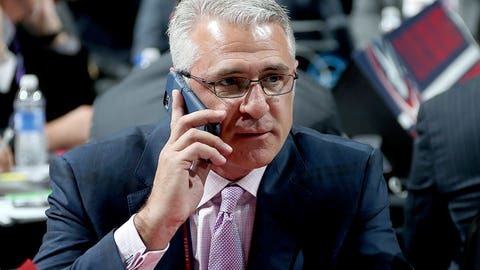 Carolina Hurricanes general manager Ron Francis said he believes his team can end its six-year playoff drought this season. “That’s my goal every year – I want to make the playoffs,” Francis told Chip Alexander of the Raleigh News & Observer. “I think we've got a team that can do that. You need an invitation to the dance. Once you get there, anything can happen. Carolina lost 27 of its 40 one-goal games (13-16-11) last season en route to a 30-41-11 mark and a last-place finish in the Metropolitan Division. Captain Eric Staal (54) has seen his point total drop in each of the last three full campaigns for the Hurricanes, who ranked fourth-worst in the league with just 183 goals in 2014-15. Carolina opens the 2015-16 season against the Nashville Predators on Thursday.